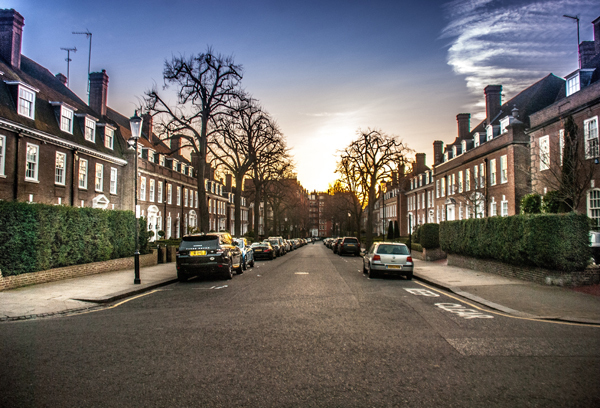 • The Victoria and Albert Museum is celebrating the opening of its ‘Exhibition Road Quarter’ with a week long public festival featuring art, performances, fashion and family activities. Kicking off tomorrow (Friday), the REVEAL festival also coincides with the museum’s 165th anniversary. It opens with a music and digital-themed Friday Late, hosted in the Boiler Room, and culminates on 7th July with Fashion in Motion, four special catwalk shows in the new Sainsbury Gallery featuring Molly Goddard, British emerging talent winner at the 2016 Fashion Awards. Other events during the week include an immersive light experience by Simon Heijdens, a special performance by Julie Cunningham & Company responding to Yoko Ono’s ‘Dance Pieces’, a new hybrid opera by Anat Ben-David, and musical performances with the Royal College of Music and Albert’s Band from the Royal Albert Hall. The week also includes collaborations with partners from across Exhibition Road, including Discover South Kensington, Imperial College London, the Natural History Museum, Royal Albert Hall, the Royal College of Music and the Science Museum. The V&A’s Exhibition Road Quarter has been designed by Stirling Prize-winning architect Amanda Levete and her practice AL_A and, the museum’s largest architectural intervention in the past 100 years, it comes with new public areas and gallery spaces as well as revealing the historic facades of the existing Grade I buildings. 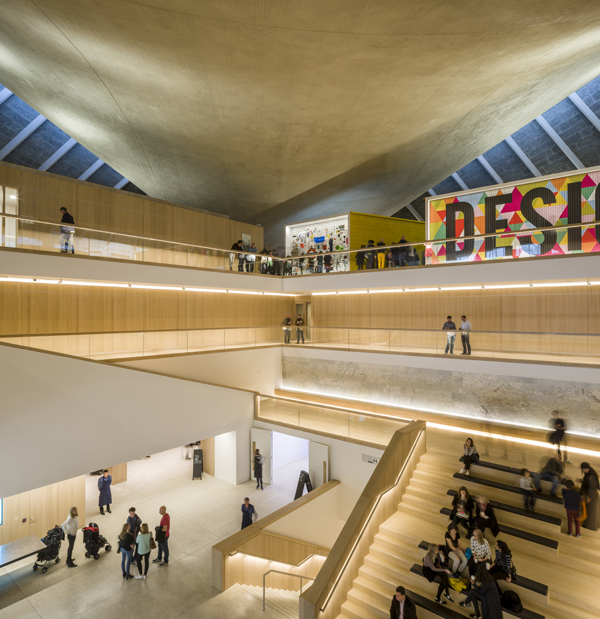 The new spaces include the 1,100 square metre Sainsbury Gallery, the all-porcelain Sackler Courtyard and a new entrance from Exhibition Road, The Blavatnik Hall. A 1909 feature – the Astor Webb screen – has also been restored and incorporated into the design. Entry to the festival is free. For more, see vam.ac.uk/reveal. 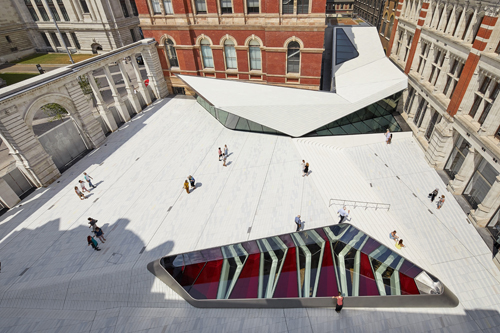 PICTURE: The Sackler Courtyard and Cafe, V&A Exhibition Road Quarter, designed by AL_A. 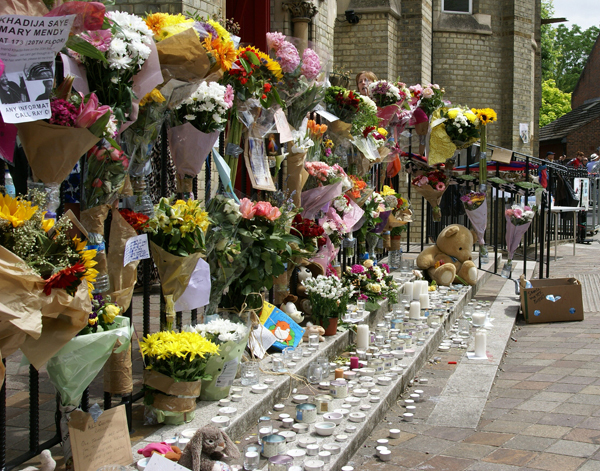 • The Mayor of London, Sadiq Khan, has called on Londoners from all communities to join in this year’s Eid Festival celebrations in Trafalgar Square as a gesture of solidarity with those affected by the Finsbury Park attack and the Grenfell Tower fire, which, like Finsbury Park, affected many Muslim families. The event, held to mark the end of Ramadan, will feature live music and performances, arts and crafts, exhibitions, calligraphy, henna, face painting and food from across the world. Highlights include Rai musician Cheb Nacim, British Sudanese artist Rasha from the Shubbak festival, children’s writer Hajera Memon – who will be promoting her childrens’ book Hats of Faith, beat-boxer Omar Sammur, breakdancer Hakim, and a bazaar-style market area. The free event runs between noon and 6pm. For more, see www.london.gov.uk/eid. • A series of newly commissioned installations exploring perceptions and connections to colour have gone on show at the Design Museum. Breathing Colour, by designer Hella Jongerius is an installation-based exhibition that blurs the boundaries between art and design. The display is divided into separate spaces that simulate light conditions at morning, noon and evening and explore the impact of changing light on our perception of colour. Each of the three spaces includes a series of three dimensional objects as well as textiles, some of which have been hand-woven. Runs until 24th September at the Kensington High Street premises. Admission charge applies. For more, see www.designmuseum.org. Wishing all our readers a very happy Easter! 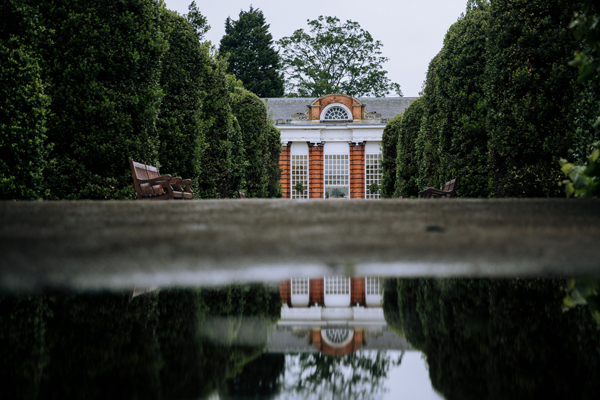 • A memorial garden to Princess Diana has opened at Kensington Palace, marking 20 years since her death. The temporary ‘White Garden’ – located in what was formerly the Sunken Garden which often featured floral displays admired by the Princess – features flowers and foliage inspired by memories of the Princess’s life, image and style. The garden, which can be seen from a public walkway, complements the exhibition, Diana: Her Fashion Story, currently on show in the palace. For more, see www.hrp.org.uk/kensington-palace/. • Mark Wallinger’s work, Ecce Homo – a life-sized sculpture of Jesus Christ with his hands bound behind his back and a crown of barbed wire on his head, has been placed at the top of St Paul’s Cathedral’s west steps for Easter. The sculpture, which will be at the cathedral for six weeks, represents Christ as he stands alone, waiting for judgement and a sentence of death. The sculpture is being presented by the cathedral in partnership with Amnesty International and the Turner Prize winning artist to highlight the plight of all those currently in prison, suffering torture or facing execution because of their political, religious or other conscientiously-held beliefs. 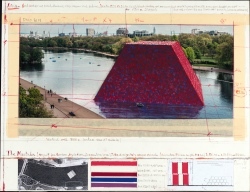 The statue first appeared on the Trafalgar Square Fourth Plinth in 1999. For more, see www.stpauls.co.uk. • St Patrick’s Day is tomorrow and to celebrate London is hosting three days of events showcasing Irish culture, food and music. 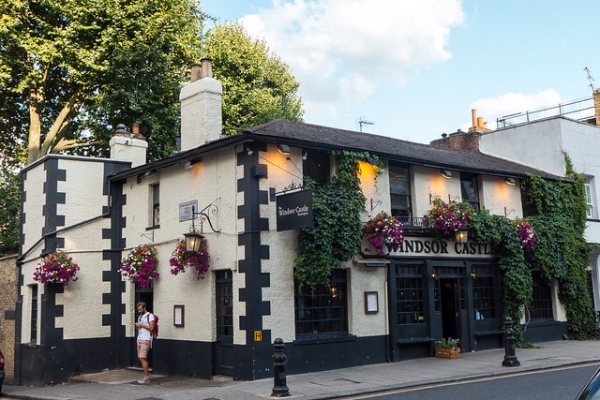 Cinemas in the West End will be showing short Irish films, there will be comedy, drama and family workshops, an Irish Cultural Trail in the Camden Market and a world-renowned parade on Sunday ahead of a closing concert in Trafalgar Square. For the full programme, see www.london.gov.uk/stpatricks. • An exhibition dedicated to the life and career of Valentina Tereshkova, the first woman in space, has opened at the Science Museum. Attended by the woman herself in honour of her 80th birthday this week, Valentina Tereshkova: First Woman in Space tells how Tereshkova came to be the first woman in space when, on 16th June, 1963, at the age of just 26 she climbed aboard the USSR spacecraft Vostok 6. She orbited the Earth 48 times over the three days, logging more flight time than all the US astronauts combined as of that date. She never flew again but remains the only female cosmonaut to have flown a solo mission. Tereshkova, who had been a factory worker, went on to become a prominent politician and international women’s rights advocate. The exhibition, which is free, is part of the 2017 UK-Russia Year of Science and Education. Runs until 16th September. For more, see www.sciencemuseum.org.uk/valentina-tereshkova. • Six unbuilt architectural landmarks – proposed for Moscow during the 1920s and 1930s but never realised – are at the heart of a new exhibition which has opened at the new Design Museum in Kensington. Imagine Moscow: Architecture, Propaganda, Revolution looks at how the proposed schemes – including the Palace of the Soviets, planned to be the world’s tallest building, and Cloud Iron, a network of horizontal ‘skyscrapers’ – reflected the changes taking place in the USSR after the Russian Revolution. As well as the six case studies, the exhibition features a dedicated room to the “geographical and ideological centre” of this new Moscow – the Lenin Mausoleum. Runs until 4th June. Admission charge applies. For more, see www.designmuseum.org. • The fashions of Diana, Princess of Wales, go on show at Kensington Palace tomorrow in a new exhibition, 20 years after her death. Diana: Her Fashion Story traces the evolution of her sense of style from the demure outfits of her first public appearances to the “glamour, elegance and confidence” of her later life and explores how she used her image to engage and inspire people as well as champion the causes she cared out. The display features everything from glamorous 1980s evening gowns to her “working wardrobe” of the 1990s and original fashion sketches created for her by her favourite designers. 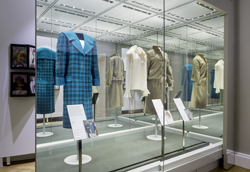 Highlights include a pale pink Emanuel blouse worn for Lord Snowdon’s 1981 engagement portrait, a ink blue velvet gown designed by Victor Edelstein and famously worn during a visit to the White House when the princess danced with John Travolta, and a blue tartan Emanuel suit worn for an official visit to Venice in the 1980s. The latter goes on public display for the first time, having recently been acquired at auction by Historic Royal Palaces. Complementing the exhibition, gardeners have created a temporary ‘White Garden’ in the palace’s Sunken Garden with flowers and foliage inspired by the princess’s life, style and image. Admission charge applies. For more, see www.hrp.org.uk/kensington-palace/. PICTURE: Courtesy Historic Royal Palaces. • Works chronicling life in the United States of America during the decade after the Wall Street crash of 1929 go on show at the Royal Academy of Arts on Saturday. America after the Fall: Painting in the 1930s features 45 works by some of the foremost artists of the era which have been sourced from collections across the US. They include Grant Wood’s American Gothic (1930) – the first time it’s being exhibited outside of the US, Georgia O’Keeffe’s Cow’s Skull with Calico Roses (1931), Edward Hopper’s Gas (1940) and works by Jackson Pollock, Philip Guston, Alice Nee and Thomas Hart Benton. 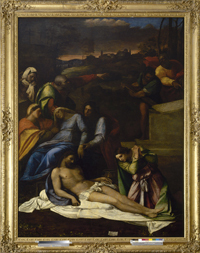 Organised by the Art Institute of Chicago, in collaboration with the Royal Academy and Etablissement public du musée d’Orsay et du musée de l’Orangerie in Paris, the exhibition in The Sackler Wing of Galleries can be seen until 4th June. Admission charge applies. For more, see www.royalacademy.org.uk. 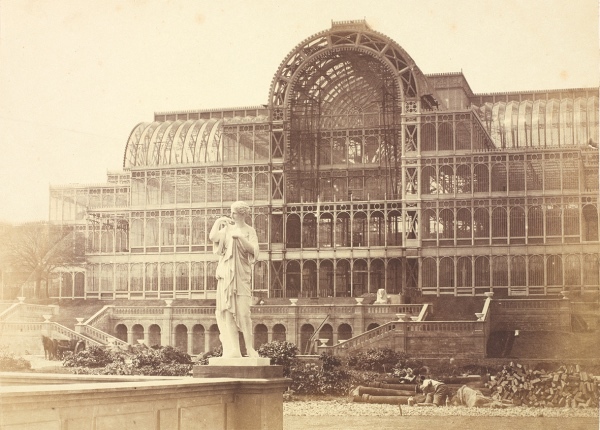 • Landscape drawings created over the century spanning 1850 to 1950 are the subject of a new free exhibition which opens at the British Museum today. Places of the Mind: British watercolour landscapes 1850-1950 features more than 125 works from the museum’s department of prints and drawings, over half of which have never been published or exhibited before. Artists represented include George Price Boyce, Alfred William Hunt, John Ruskin, James McNeill Whistler, Philip Wilson Steer. Graham Sutherland and Henry Moore. The display can be seen in Room 90 until 27th August. For more, see www.britishmuseum.org. 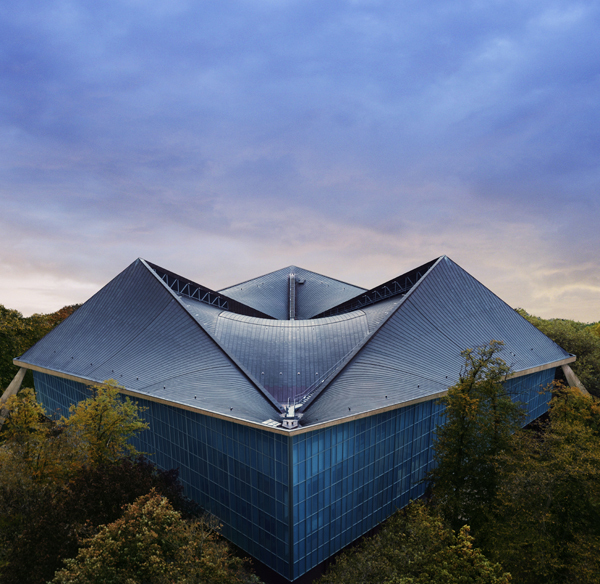 The Design Museum’s new home in Kensington finally opened this week and it’s already been getting some rave reviews, hence why, despite its freshness, we thought we’d mention it in our Treasures of London feature. The museum, which moved to its new premises after 25 years in Shad Thames, now occupies the former Commonwealth Institute building, which dates from 1962 and was designed by Robert Matthew. The building has recently undergone a £83 million makeover with the interiors designed by architect John Pawson. The new museum has three times the space of the previous premises and features the only collection in the UK devoted exclusively to contemporary design and architecture. At the heart of the building is the Designer Maker User exhibition which, as the museum’s first free permanent display, occupies the top floor of the museum, and includes more than 1,000 items of 20th and 21st century design. At its entrance can be found a wall featuring more than 200 items from 25 countries nominated by the general public including a Bible, Coca-Cola can and a £5 banknote. Inside, the Designer section focuses on the thought-processes of designers and features a full-sized production of a gerberette used in the Richard Rogers-designed Centre Pompidou in Paris as well as models and images of the works of the late architect Zaha Hadid, David Mellor’s traffic lights, Kinneir and Calvert’s British road signage system and a full scale prototype for a new London Tube train designed by PriestmanGoode as well as Moulton bicycles and London Underground maps. The Maker section, meanwhile, traces the evolution of manufacturing from Thonet bentwood cafe chairs and Model T Ford cars to robotic arms and 3D printing and includes objects at different stages of production – from tennis balls to the London 2012 Olympic Torch. And in the User section, visitors will be led to explore the interaction between the consumer and brands that have become household names – Braun, Sony, Apple and Olivetti – as well as the impact of design on politics, fashion and music. Displays in the latter part include Gucci tennis shoes, the fashions of Vivienne Westwood and Christian Louboutin and the pioneering magazine The Face. 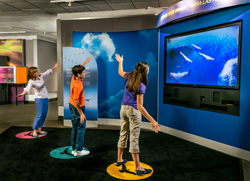 As many as 500,000 people are expected to visit the museum in its first year. 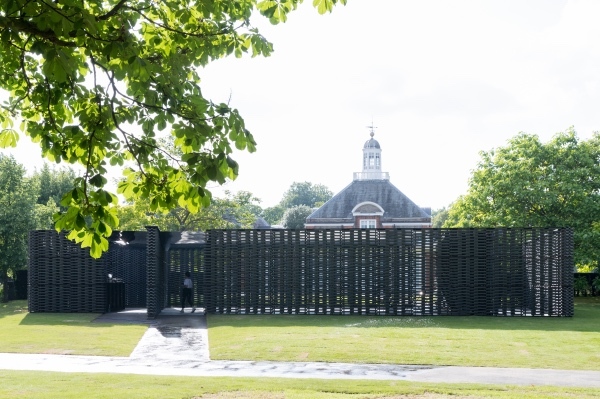 Along with permanent displays, also unveiled this week was the new exhibition, Fear and Love, featuring 11 new installations by world leading designers. They include The Pan-European Living Room by architecture practice OMA, Room Tone by fashion designer Hussein Chalayan, Pittsburgh-based designer Madeline Gannon’s “mechanical creature” Mimus, and a series of death masks called Vespers created using 3D printing technology Neri Oxman. And running until 19th February is the Beazley Designs of the Year, a celebration of design that promotes or delivers change, enables access, extends design practice or captures the spirit of the year past. Categories include architecture, digital, fashion, graphics, product and transport. PICTURES: Top – Gravity; Middle – Gareth Gardner; Bottom – Helene Binet. Courtesy The Design Museum. 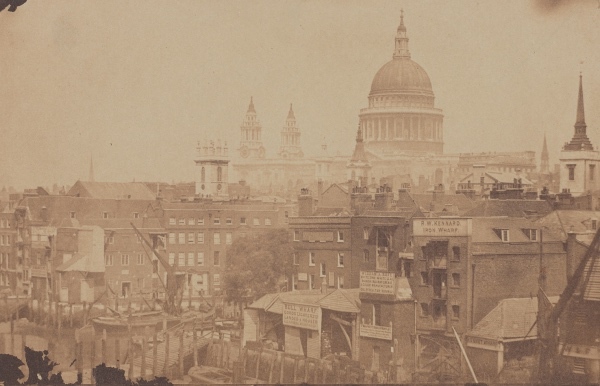 • The Great Fire 350 Festival – marking the 350th anniversary of the Great Fire of London – is underway and there’s a range of events being held in London over this month and next. While we’ll be mentioning some of these a little closer to actual anniversary date, meantime there are bi-weekly walks, a ‘Fire Trail’ treasure hunt and a new Monument app to keep you busy. 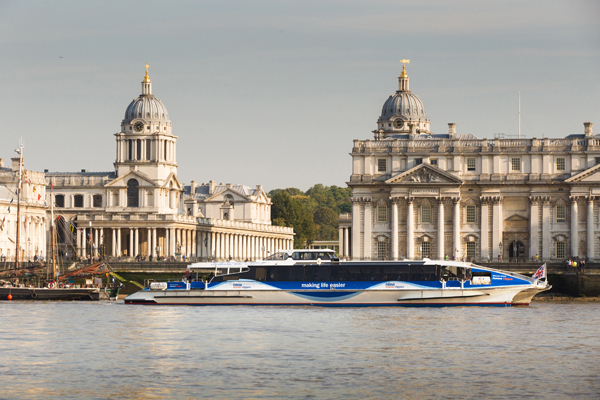 The latter allows visitors to conduct a self-guided ‘Great Fire journey’ focusing on the fire itself, the commemoration of the blaze and London as we know it now as well as taking users into the minds of Sir Christopher Wren and Robert Hooke – designers of The Monument. Available for download from Android Market and Apple App Store. For more on the events running as part of the anniversary, see www.visitlondon.com/greatfire350/events. 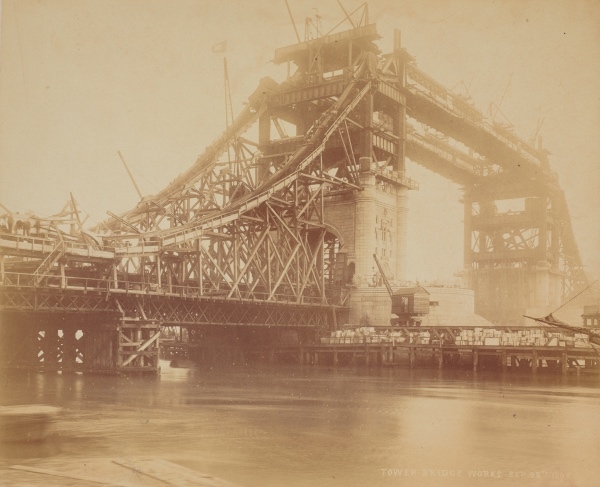 • Take a behind the scenes look at the Museum of London – and see some rarely exhibited objects – in an exhibition which opened late last month. The free display allows visitors to catch a glimpse of some of the work that goes on behind the scenes and see objects usually housed in the museum’s extensive stores including a detailed model of the process engraving department at the Evening Standard newspaper in 1977, an ice-cream maker and moulds from around 1910, and a confectioner’s icing stand from about 1900. The exhibition can be seen until 15th September. For more, see www.museumoflondon.org.uk. 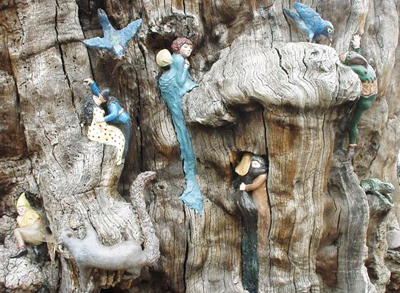 Delightfully carved out of a hollow oak tree, the Elfin Oak takes its name from the many colourful figures that adorn it. The sculpture, which sits beside the Diana Princess of Wales Memorial Playground is the work of children’s book illustrator Ivor Innes. He spent two years – 1928 to 1930 – carving “Little People” upon an ancient oak tree trunk that had been found in Richmond Park and relocated to Kensington Gardens (and in 1930, with his wife Elsie, published the children’s book, The Elfin Oak of Kensington Gardens). The characters depicted include animals and fanciful creatures such as a gnome called Huckleberry, a series of elves including Grumples and Groodles and a witch named Wookey. 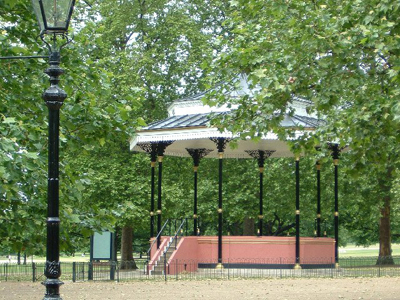 The hollow, incidentally, had been presented to The Royal Parks by Lady Fortescue in response to an appeal run to improve facilities in line with a scheme by George Lansbury (among other things, he also founded the Serpentine Lido). Now a Grade II listed structure (and well protected by wire mesh), it has a few pop culture associations – among them, the fact that it appeared on the cover of Pink Floyd’s 1969 album, Ummagumma (the head of the band’s lead singer and guitarist David Gilmour can be seen projecting from the trunk). Meanwhile, in 1996, Spike Milligan – long a fan of the oak – was the face of a successful campaign to raise funds for its restoration. Announcing the Grade II listing in 1997, then Heritage Minister Tony Banks noted that the oak sat alongside the late Victorian fascination with Little People and complemented Sir George Frampton’s statue of Peter Pan (also located within the gardens). “Together the two sculptures make Kensington Gardens very much the world capital of fairies, gnomes and elves,” he reportedly said. 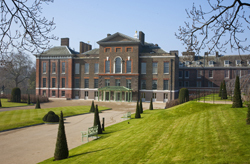 • Kensington Palace: Head back into the Victorian era where so many of the Christmas traditions we know and love find their origins. The palace and gardens have been decorated with period-inspired decorations while inside decorations include the beautifully decorated tables where Queen Victoria and Prince Albert showcased their Christmas gifts. There’s talks on the origins of Christmas foods such as plum pudding, music and carolling, and the cafe is serving up seasonal food and drink while on Saturday, a special brunch time lecture will look behind the curtains into the world of Victorian pantomime and performance. Admission charges apply – check the website for dates. For more, see www.hrp.org.uk/kensington-palace/. • The Geffrye Museum: This Shoreditch institution is once again celebrating Christmas traditions of the past in its annual display showcasing the past 400 years of Christmas traditions. Christmas Past has taken place at the museum for the past 25 years and is based on ongoing, original research. It provides insights into everything from traditional Christmas feasts to kissing under the mistletoe, playing parlour games, hanging up stockings, sending cards, decorating the tree and throwing cocktail parties. A series of related events, including a concert by candlelight, are being held over the Christmas season. The display, which has free entry, closes on 3rd January. For more, see www.geffrye-museum.org.uk. • Ebola and the fight against ISIS are the subject of a new exhibition which opened at the Imperial War Museum in Lambeth last month. Fighting Extremes: From Ebola to ISIS looks at the experiences of British personnel serving on recent operations including the response to the Ebola outbreak in Sierra Leone and the fight against ISIS in the Middle East. The display features behind the scenes interviews such as an in-depth talk with Corporal Anna Cross, a British Army nurse who contracted Ebola, photographs, and recently acquired objects such as the Wellington boots worn by healthcare worker Will Pooley, the first Briton to contract Ebola who was evacuated from Sierra Leone by the RAF, a headset used by an RAF drone pilot, and a shooting target depicting a silhouette of an ISIS suicide bomber used by the British Army to train Peshmerga troops. For more, see www.iwm.org.uk. • First created in 1923, a playground in Victoria Tower Gardens – newly named the Horseferry Playground – has been reopened after improvement works. 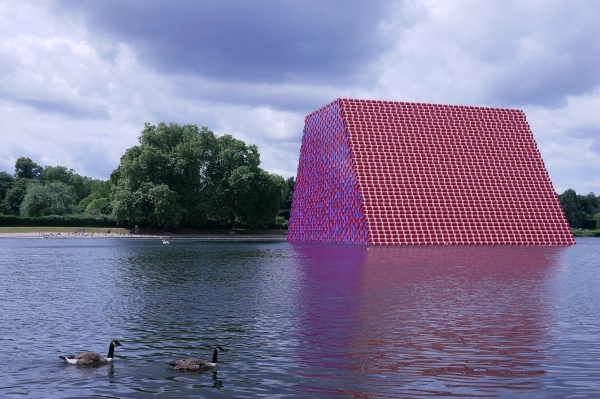 The works, carried out under the management of Royal Parks, have seen the reintroduction of a sandpit as well as the installation of new swings and slide, dance chimes and a stare play installation to represent the River Thames. The playground, located close to the Houses of Parliament in Westminster, also features a series of timber horse sculptures, new seating and a refreshment kiosk with metal railings designed by artist Chris Campbell depicting events such as the Great Fire of London and Lord Nelson’s funeral barge and views of the River Thames. The project has also seen the Spicer Memorial, commemorating role of paper merchant and philanthropist Henry Spicer in the establishment of the playground – then just a large sandpit, restored. For more, see www.royalparks.org.uk/parks/victoria-tower-gardens. • Now On – A Dickens Whodunnit: Solving the Mystery of Edwin Drood. 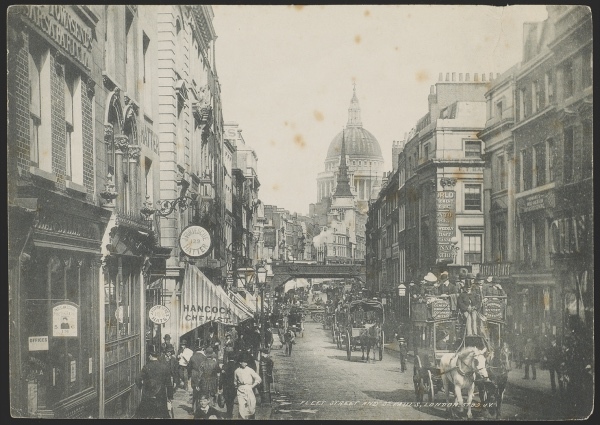 This temporary exhibition at the Charles Dickens Museum in Bloomsbury explores the legacy of Dickens’ final novel The Mystery of Edwin Drood, left unfinished after his death in 1870. Visitors are able to investigate crime scenes, search for murder clues and see the table on which the novel was penned as well as clips from theatrical adaptations, and a wealth of theories on ‘whodunit’. The exhibition runs until 11th November. Admission charge applies. 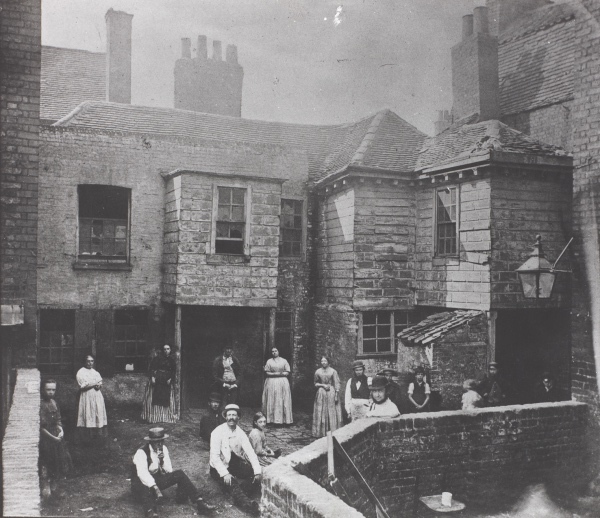 For more, see www.dickensmuseum.com.